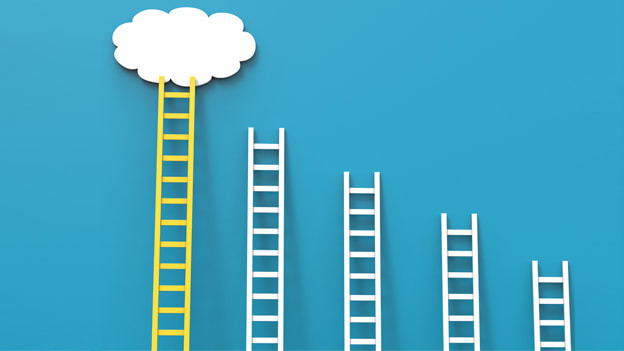 Blog: Are you in the race and will you reach the top? Are you in the race and will you reach the top? First and foremost, you need to believe in yourself. Read on to know what it takes to be in the race for the top post. Getting onto the corporate fast lane is a bit like getting on a ship. No matter how fast you go, the horizon of success never gets closer. If you take your eyes off the elusive horizon, you realize no one is navigating, you don’t know how to steer the ship, and there is nowhere to get off. The shore you’re leaving behind is your past—your school and college days, friends, parents, siblings, and other near and dear ones. The bittersweet memories of life threaten to pull you apart. On such occasions you realize that there is no such thing as work-life balance; there is life and there is work in it. Notwithstanding whether you, as a professional, dread the above five questions or not, understanding the critical success factors for becoming a CXO will do no harm. First and foremost, you have to believe in yourself and be convinced that you are CXO material. If you don’t, how will others believe it? Seagulls fly because they think they can. On more than one of these key parameters—endless energy, hyper dynamism, a can-do attitude, assertiveness, a keen intellect, and the ability to quickly align with management —you have to stand out. Second, you need to evolve a compelling vision (read reason) to succeed. Perhaps you were born in a poor family where making two ends meet was a struggle. Or you were amongst the very best in academics. Or you are good at applying what you learn to real life situations. Or you want to prove to yourself (rather than others) that you are CXO material. A compelling vision creates intrinsic motivation to move towards your goals. Third, you have to have your short- and long-term goals well laid out, as well as the roadmap to move towards these goals. How and what course correction will you make if you face failures or unexpected success? What are plans B and C? Who are the key stakeholders for achieving your goals? While doing this, DO NOT exclude the external, non-work related stakeholders such as your family, friends, support system, and societal influences. The absence of an adequate support system may derail your plans. And it is your support system that often takes the biggest hit in your journey of success. Fourth, do you have the ability to shuffle between micro-management and taking a 10000-feet view? Remember, you can’t do everything from typing to decision-making. If you want to keep an eye on the external environment and the global picture, you need to spend less time running operations. Effective delegation, empowering your team, and mentoring in planning and execution, is essential for this. You need to spot some good fire fighters in your team; what if something goes wrong? Fifth, have you been lucky with luck? In the past, did you find yourself in the right place at the right time? Have you encountered unexpected success? If you were in sales, did you ever get the pleasure of seeing your only competitor’s bid being disqualified in the final lap? If these kinds of things haven’t happened to you yet, just hope for better luck next time! Dr. A. K. Chawla, an alumnus of IIM Ahmedabad, is a Data Privacy, HR and Management Consulting professional with more than four decades of experience. He is currently engaged in a large transformational program of TCS to ensure alignment and compliance with GDPR. He is also the author of the best-seller fiction: 'Pandavas The Tech Warriors'. NEXT STORY: Are leaders wholly and solely responsible for organizational disarray?